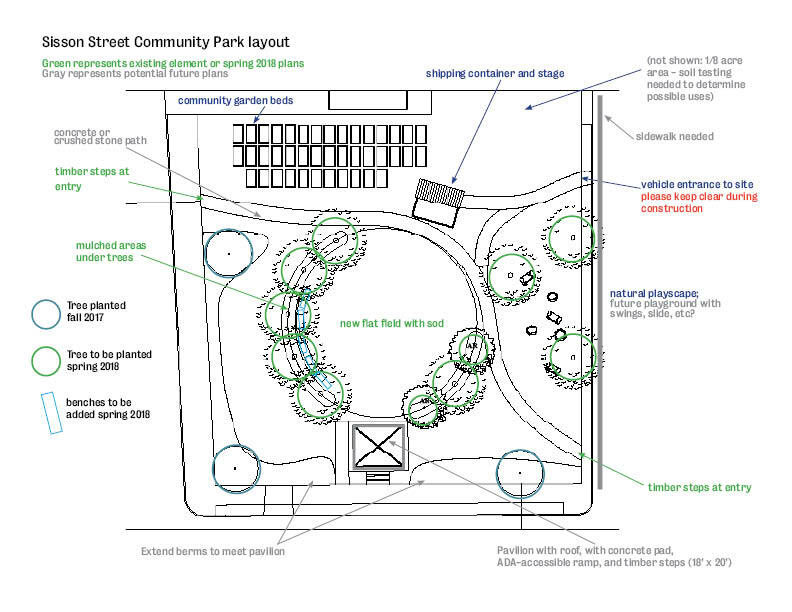 The field at the Sisson Street Community Park will be getting a makeover next week! We’ll be smoothing out the field area, adding new top soil, and putting down sod. There will be new planting beds and new trees coming soon! Work is scheduled to take place from May 7-May 11. During that time, we will be bringing equipment, new soil, and sod onto the park through the Atkinson Street entrance. We’re going to ask neighbors for their help keeping the space clear in front of the fence opening so that the vehicles can access the park to complete the work. 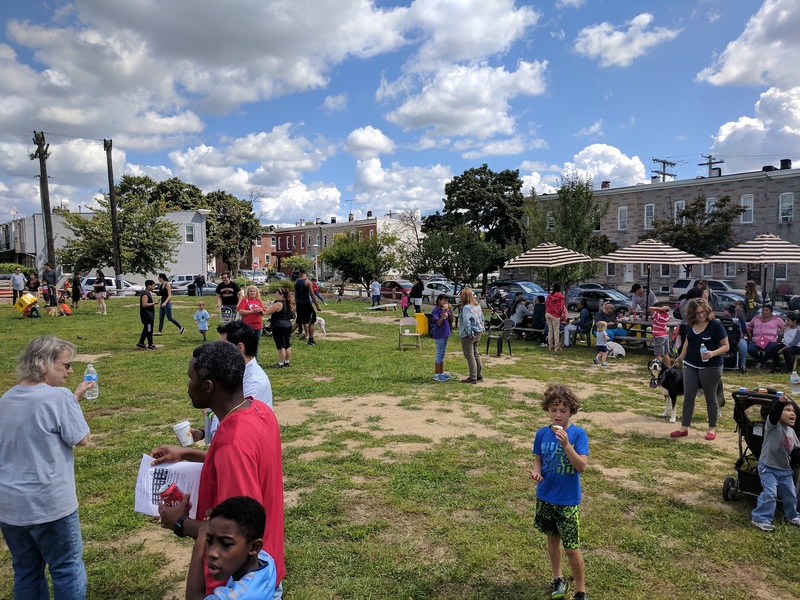 This work is sponsored by the State of Maryland and Johns Hopkins University through the Central Baltimore Partnership’s Spruce-Up grant program. We’ll need special help from the Sisson Park stewards during the first two weeks after the sod has been installed keeping it properly watered. I’ll send out a schedule and instructions for watering as soon as I have an idea of when the sod is going in. May 4, 2018 in Latest.